The house was full of excitement, with children and adults waiting patiently to open presents. 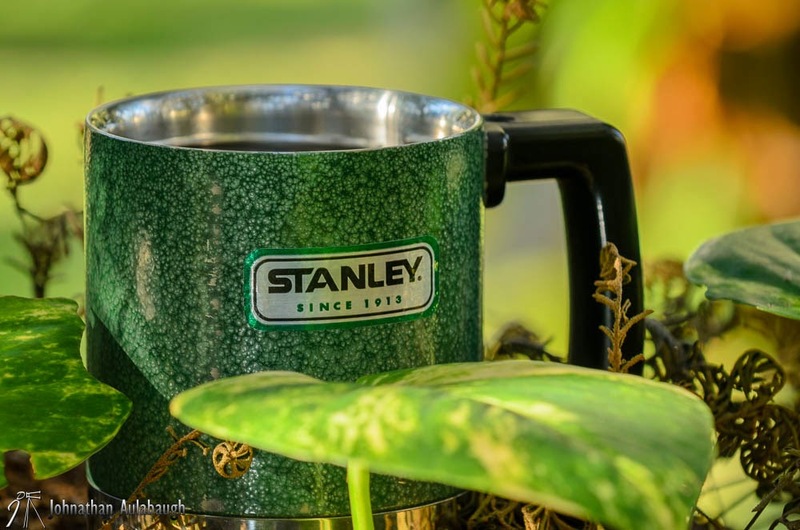 Among other things I had received a coffee cup, but not just any cup it is big, it is green, and it is a Stanley. Now I have had a couple of Stanley cups before as well as a few of their thermoses. So being a coffee drinker what do I do first? Yep, I fill it up with some good coffee, seal the lid, and test to see if the cup leaks. Nothing worse to me than having a spill proof cup that leaks all over the place. No leaks, hot coffee, and the buzz of family through the house, Nice!!! First off the cup is only rated to be splash proof but I have been using this cup nearly every day for a year and it does not leak. Sure I can see where it might happen but my model just does not leak. This cup is BIG, at 18oz. it easily holds 2 cups of coffee and has a little room to spare for those who like to add creamer or anything else to their coffee. 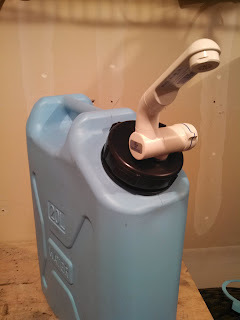 It is also double walled and insulated to keep liquid hot or cold for about an hour. The mug also has a handle made of plastic and secured by 2 inset screws as well as a plastic lid that secures very well. With a polished smooth lip it also makes drinking without the lid an option. This mug is extremely tough and even with me using it daily for nearly a year in all sorts of elements with no issues. Because it is primarily stainless steel it is also a bit on the heavy side but that also plays into the fact that it is built very strong. I have had coffee stay warm enough to drink for up to 2 hours and had ice cold drinks last for just as long or longer. 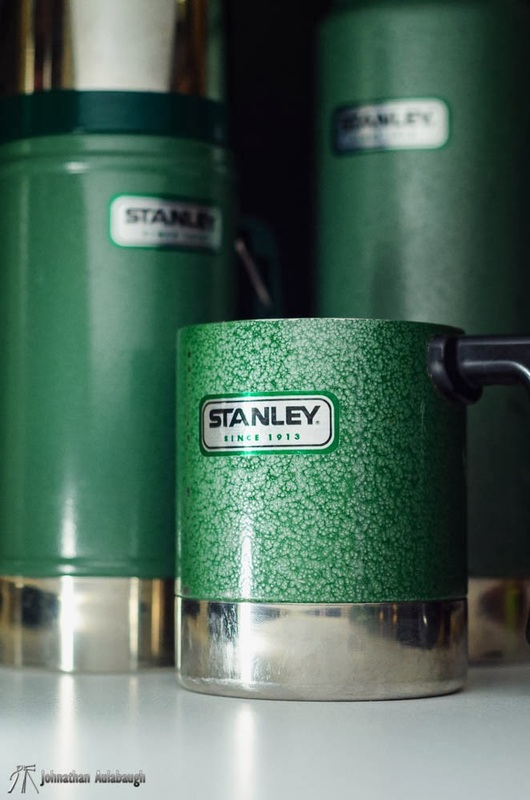 The Classic Hammertone Green features are awesome and remind me of days gone by. What would I improve? That's a tough one but I would have to say that with the strength of the rest of the mug it would be nice to have a steel handle as well, but on the other hand the plastic handle does not get warm with hot coffee like the main portion of the mug. Never hot, but warm to the touch which is not a bad think on those cold winter mornings. This cup is not meant to fit into the cup holder of your vehicle, but I personally have found ways around that and this cup travels where ever I go with no problem. 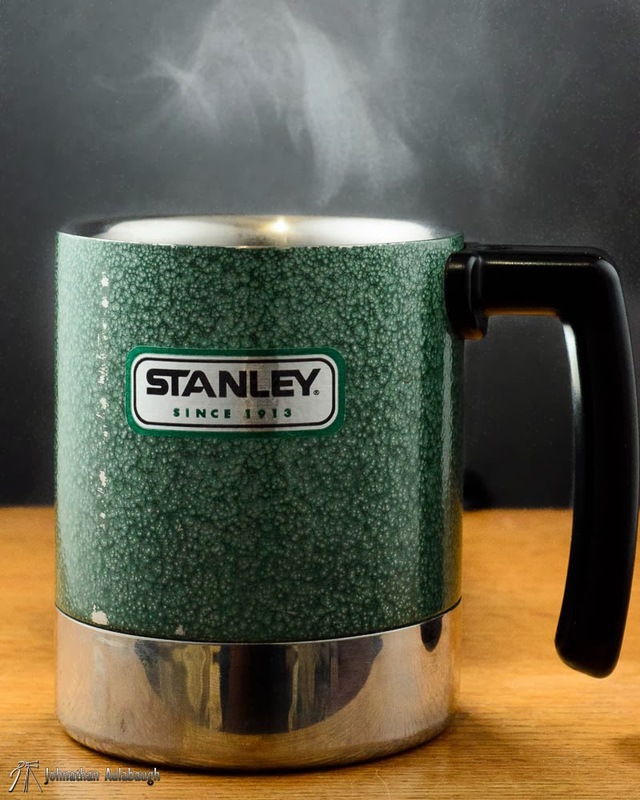 It is not often I have little to nothing to pick on a product with but I firmly believe that Stanley hit a home run with this one. With everything still holding strong going into 2014 and the type of abuse I have put this cup through its paces and I would have to say it is a winner. 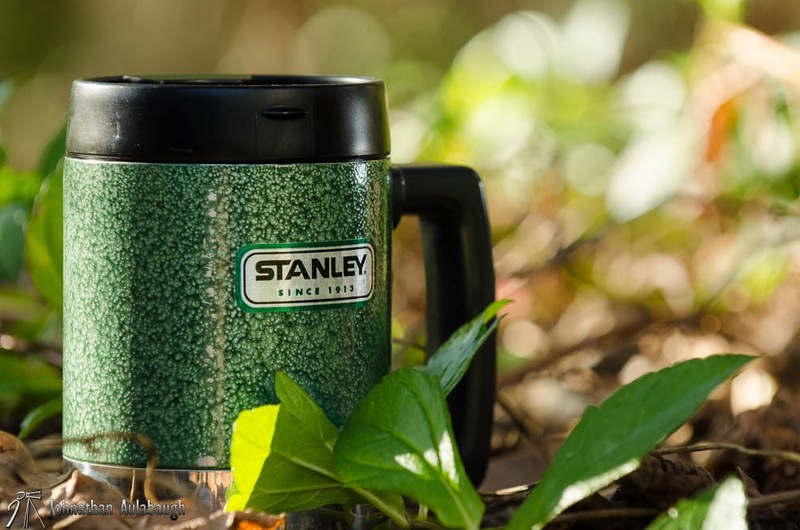 I would recommend to anyone that enjoys a hot cup of coffee or a cold drink after a long day on the trail. This mug is one of those things that seems to be built to last. I have to thank my father once again for this great cup. As always if you have any questions or comments feel free to ask. 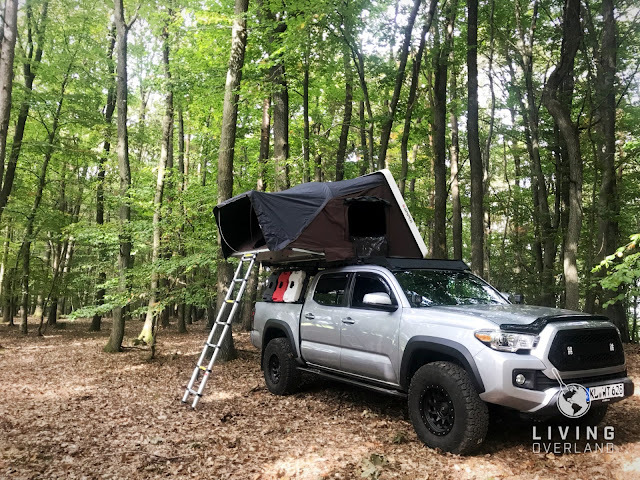 One of our goals with Living Overland is to provide the best information about products we use in our own adventures.